Today was a great day! Ate a country breakfast and some cookies the size of frisbees – Students jamming on the mats! Doing the job I was put on earth to do! I absolutely can say I love my job! 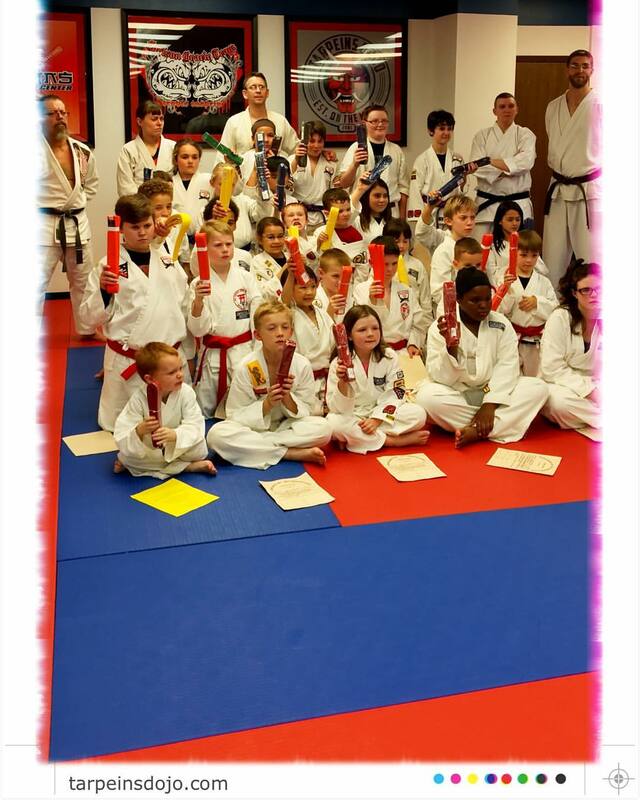 Students with fresh white karate gi, and fresh new belt off of belt testing night! Look at how disciplined these kids are standing in this line straight as an arrow! Another great picture from a different angle. Belt testing was a smash! 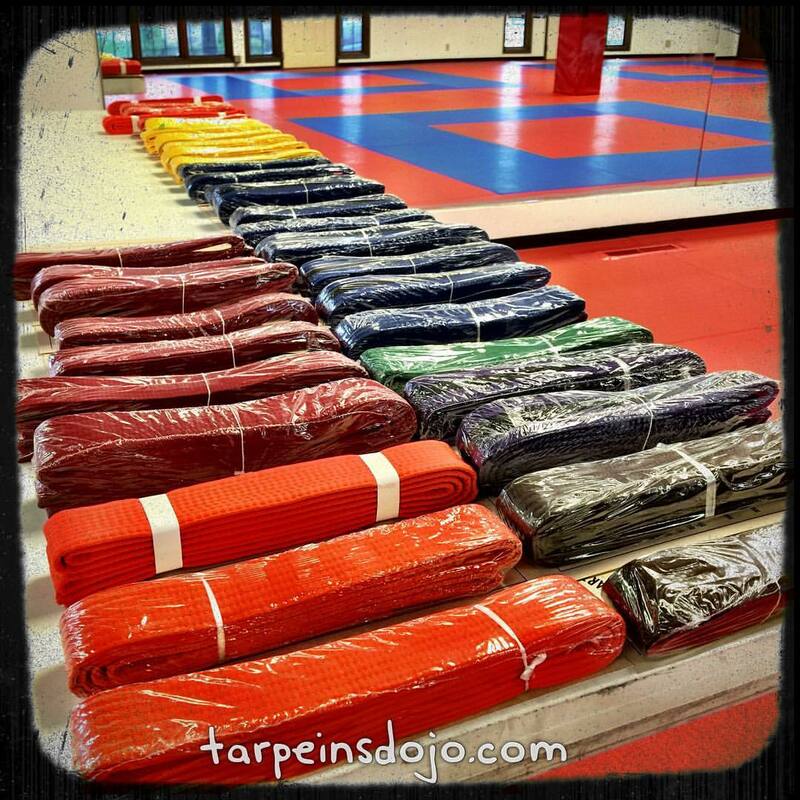 These kids absolutely rocked Tarpein’s Dojo tonight for belt testing! Congratulations! 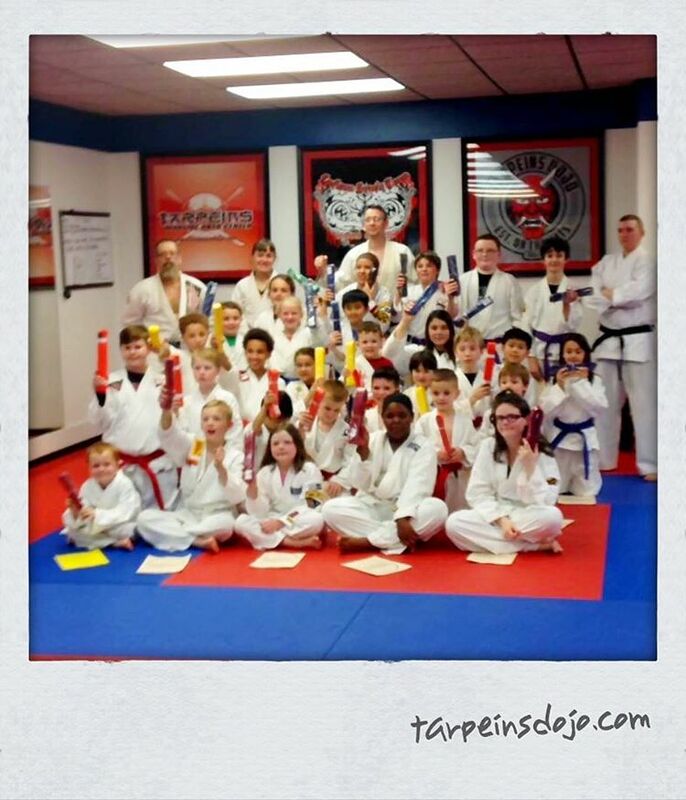 These kids absolutely rocked Tarpein’s Dojo tonight for belt testing! Congratulations! 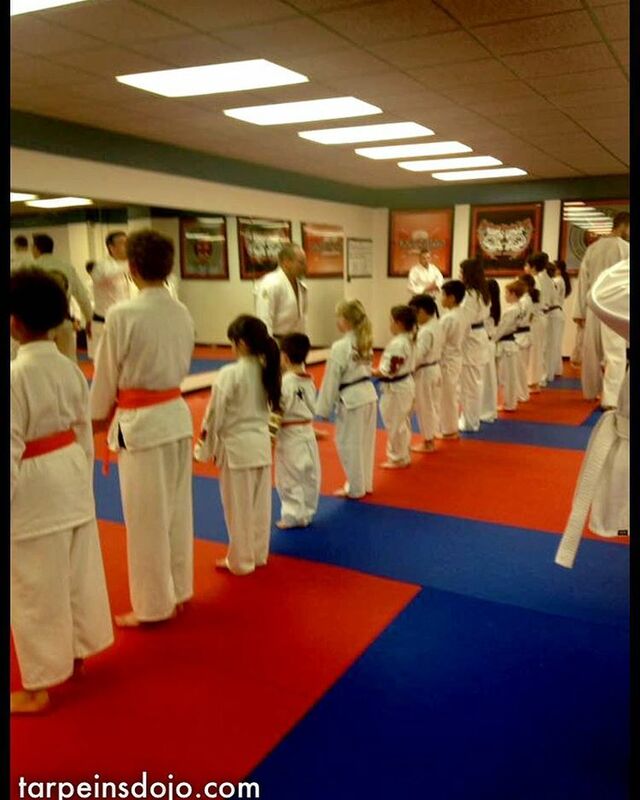 Belt Testing tonight! I am excited to see the students work hard and make the grade! Nate came into the academy and I could tell he was going to be good if he would stay with Brazilian Jiu Jitsu. 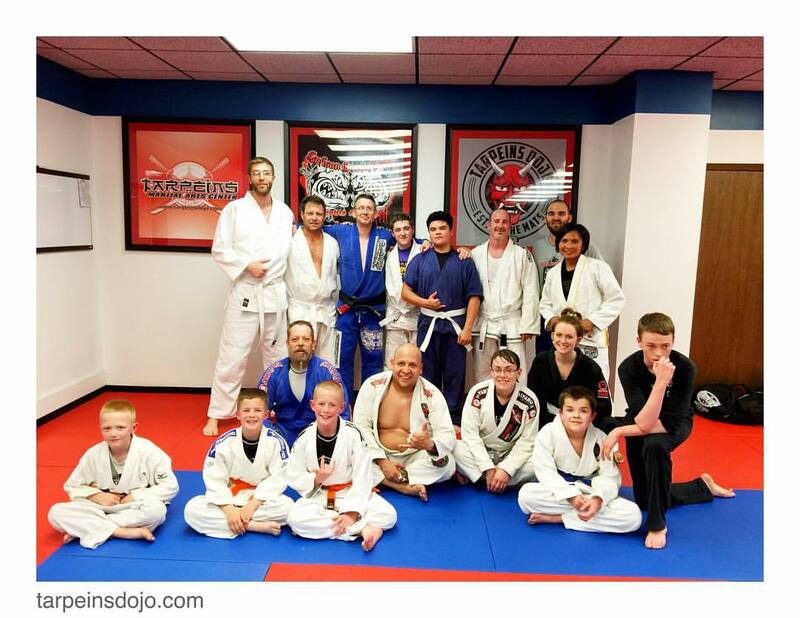 Nate has been rocking Thursdays class at the Moline Tarpein’s Dojo, it is a two hour session and it is good for beginners as well as advanced students. 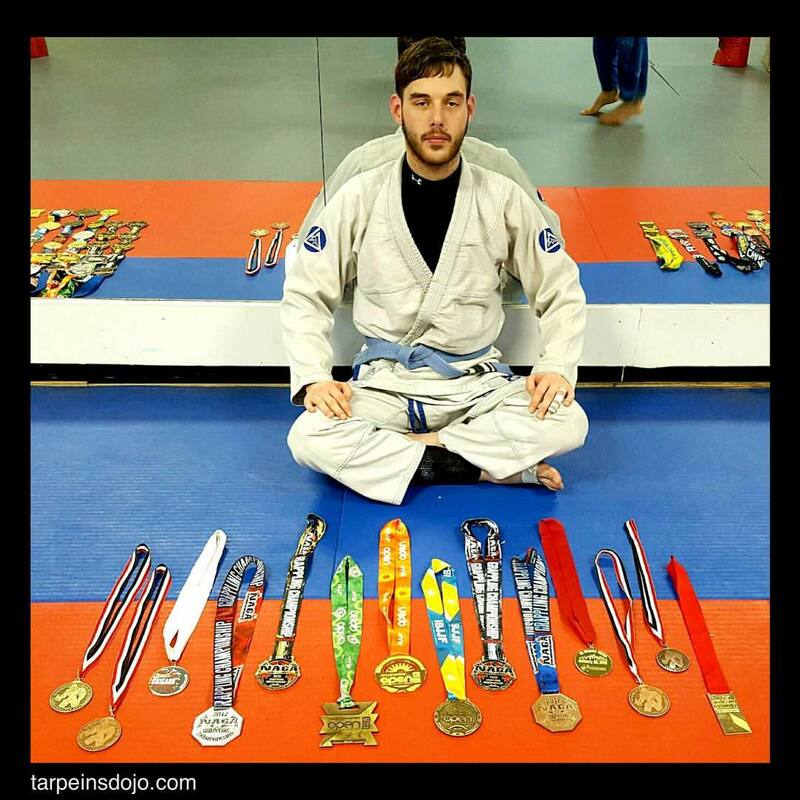 Winning double gold at the last International Jiu Jitsu Federation Tournament. It is also very gratifying to see a student train the way Nate does as well as develop his own style and own game of BJJ. Bravo Sir! If you have ever grapple with Justin Penaflor he is like a termite on a piece of wood he is all over you! He is fast and he is slick with his technique and just within the past month he won his 100th victory in tournament competition. Justen is also part of the Sterling crew and he helps assist at the Bettendorf Academy for Brazilian jujitsu class for children and adults. As well as leading the competition class in Moline on Saturdays. Keep up the great work and see you on the mats ! 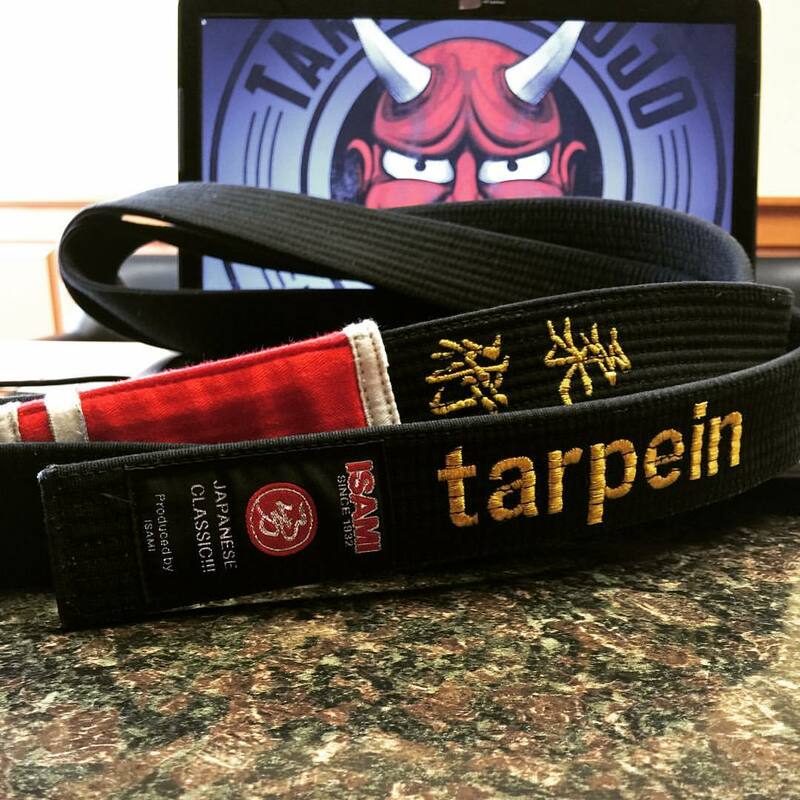 Tony came into the gym with the rest of the Sterling crew, again with a great work Ethic and wrestling background Tony is also very helpful with new students on the mat, as well as helping out with instruction at all The Tarpein’s Dojo’s. This is what Martial arts is all about helping people on and off the mats! With a fearless heart – Tony will train with the biggest or the smallest people in the academy. As we can see Tony has been on the tournament circuit as well and done very well for himself. Keep up the hard work! Side note Tony brings me food – he knows I’m weak when it comes to delicious meals! 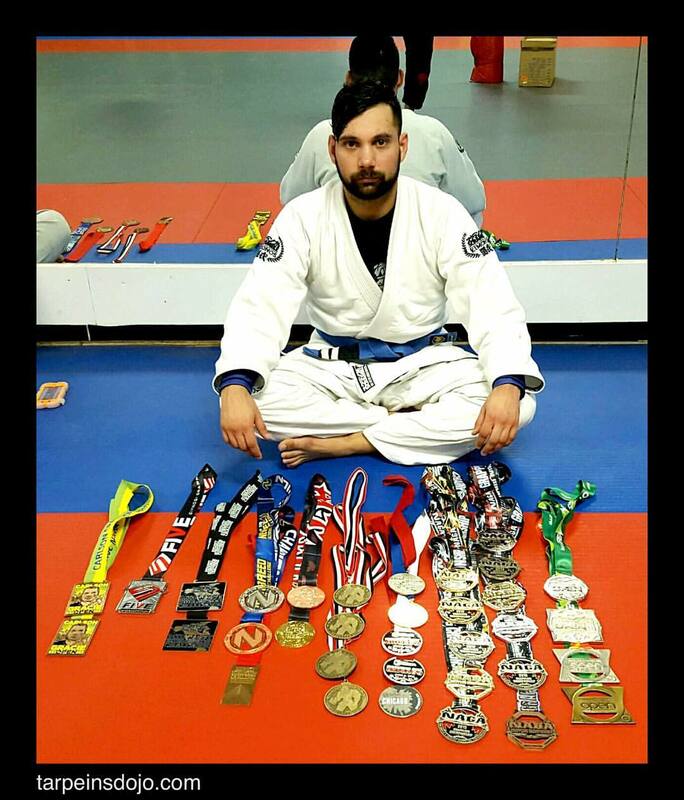 Damien has been a huge asset to the gym, first coming to the gym wanting to learn some basic Brazilian Jiu Jitsu techniques. 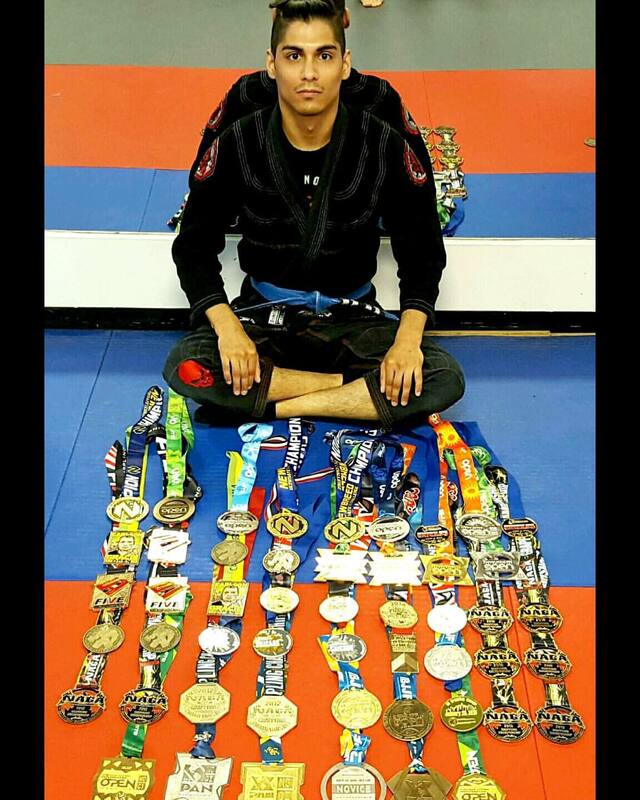 Martial Arts and Brazilian Jiu Jitsu has turned into a lifestyle for him and he was able to lose a huge amount of weight. As well as started to compete in tournaments all across the United States. 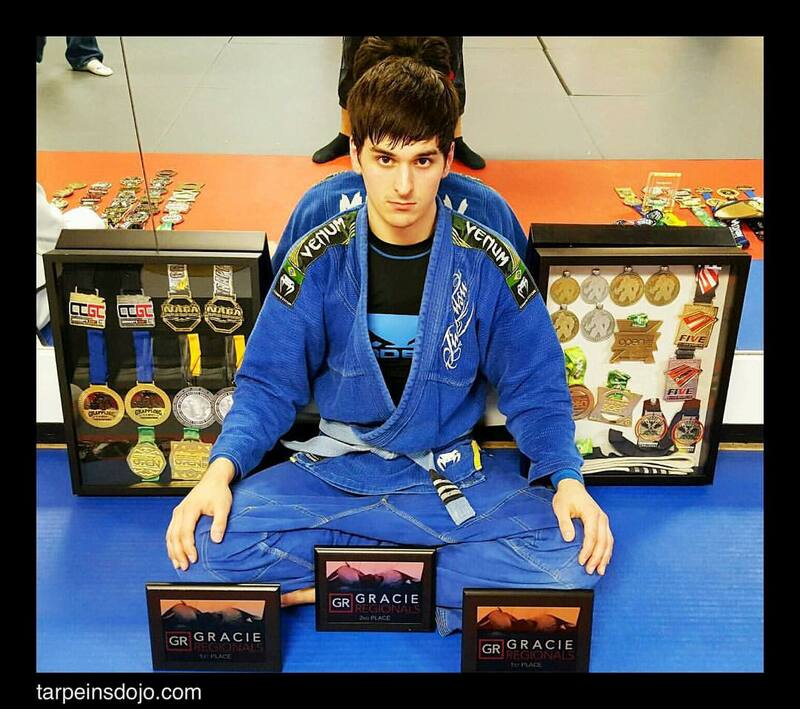 Damien continues to log on the mat hours inside me academy almost training full-time. Keep up the great work creepy D!